A material makeover for the 25-year old runner. 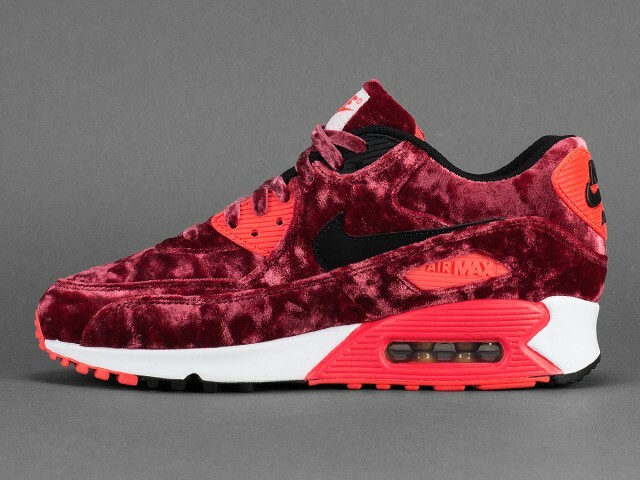 With this year's Air Max Day in the books, Nike Sportswear will turn its attention to the 25th Anniversary of the Air Max 90. 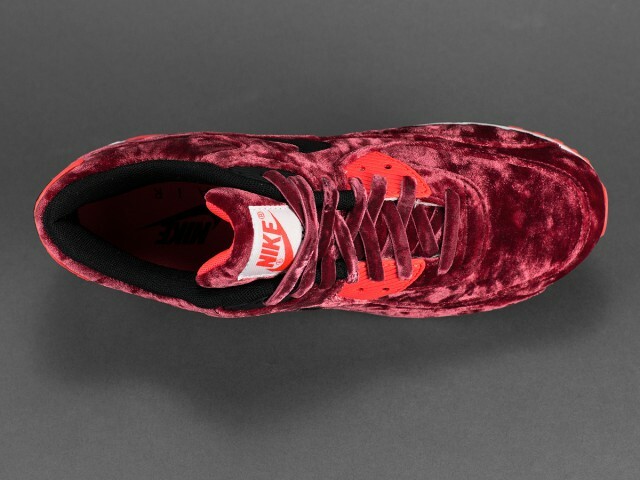 As part of the celebration, new variations of the runner will debut at retail, including this pair sporting a plush velvet upper. Deep red bleeds throughout the shoe's upper, with infrared hits bringing pop to the tongue tag, lace tabs, heel and Max Air window. 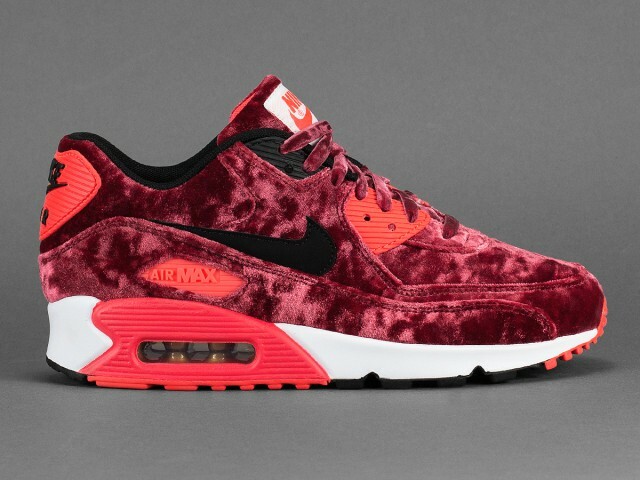 Black handles the inner lining and Swoosh branding, while a white midsole breaks up the red-on-red theme a bit. A stateside drop date hasn't been announced, but European stockists like Solebox will carry the shoe this Monday, Mar. 30.